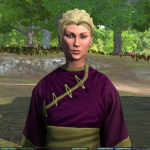 Discussion in 'Player Owned Towns' started by CICI, Dec 16, 2018. Cianna, Alleine Dragonfyre, Rada Torment and 9 others like this. Jaesun and CICI like this. Congrats CICI! It makes me tired just watching you work so hard. You are a role model for anyone interested in creating a successful enterprise. Alleine Dragonfyre, Jaesun and CICI like this.